DBOX is a design and marketing agency that serves the world’s premier real estate developers and architects. 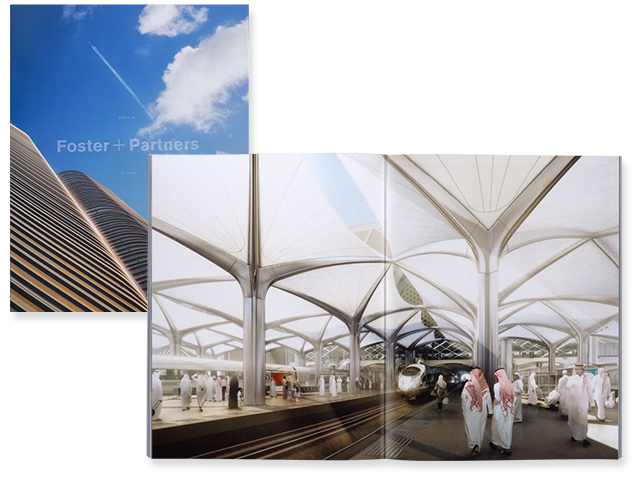 To commemorate its 10th anniversary providing services to Foster + Partners of London, DBOX designed a 196-page book featuring Foster + Partners projects from around the world. 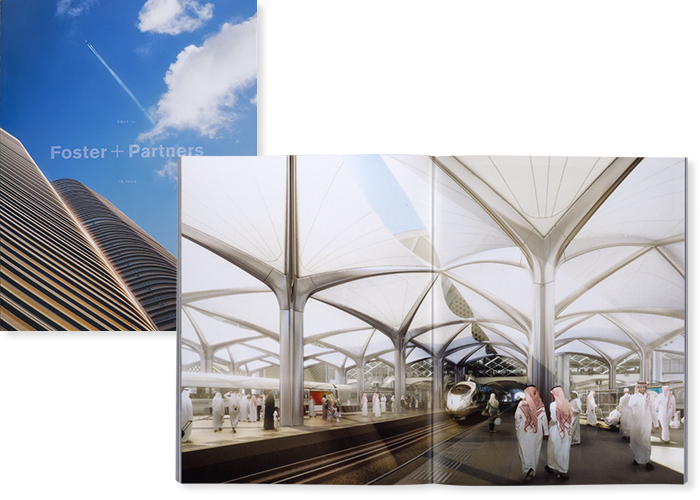 Active digitally produced both soft cover and case bound hard cover versions of the book. 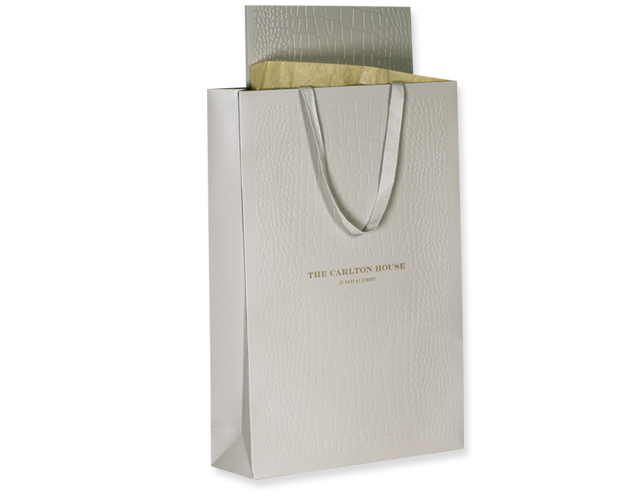 For the marketing of The Carlton House residential building in New York, DBOX designed a comprehensive set of materials, including marketing collateral and gift bags. 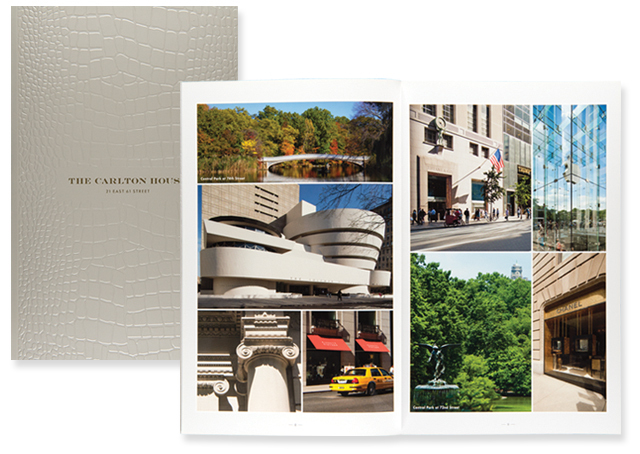 Both brochure covers and bags feature a ‘crocodile skin’ texture. Active embossed, foil stamped, and printed all materials to an exact match. This included dying the bag handle cloth to the custom cover. 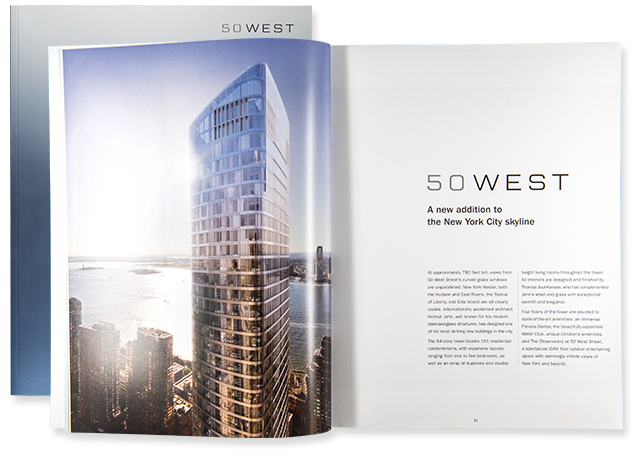 For 50 WEST, a high-end residential building in New York, DBOX designed a brochure to capture the reflective steel used on the building. 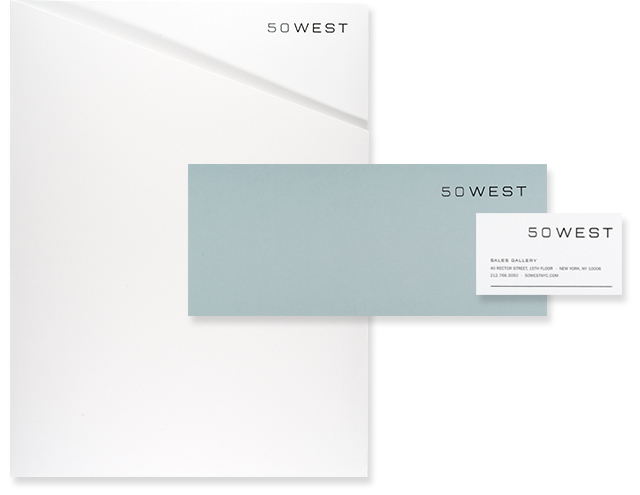 Active produced Stationery which was printed, foil stamped, and converted using an uncoated paper with inks matched to the coated book.